Our team of educators is dedicated to serving students, families, and our community. Mr. Michael Jaissle has been working as an educator at the Academies since 2007. 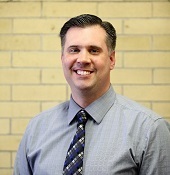 Prior to becoming an experienced educator, Mr. Jaissle attended Adrian College where he earned a bachelor’s degree in social studies with a concentration in elementary and middle school education. He then went on to obtain his master’s degree in educational leadership from Walden University, and further acquired his Principal’s License from Ashland University. Beginning his career as a teacher in central Ohio, Mr. Jaissle went on to hold numerous positions such as program mentor, teacher, and principal in several Academies in the Cleveland area including Hope Academy Northwest, East Academy, Pearl Academy, and now West Park Academy. While teaching at Hope Academy Northwest, Mr. Jaissle led a program that gave middle school boys the opportunity to meet with the local Navy recruiting officers. As principal of West Park, Mr. Jaissle leads with compassion, honor, and integrity – three of his pillars to success. He looks forward to working with the staff, students, and families to establish these pillars at West Park Academy. Ms. Laurie McGraw has been a teacher at West Park Academy since the school opened in 2001. A graduate of Ohio State University, Ms. McGraw has served as a teacher, a mentor to other teachers, and a school lead teacher during the summer. Current and former students, staff, and families value her calm demeanor, consistent presence, and professionalism. 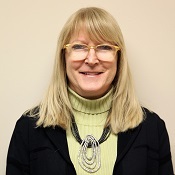 Ms. McGraw’s specialization in reading has developed her expertise on the subject, and she has been recognized as an “Accomplished” teacher, guiding students into flourishing readers. In her role as a 4th grade teacher, Ms. McGraw’s goals are to build confident scholars that can add value to their respective communities as well as create an environment in which the students may thrive, both academically and socially.